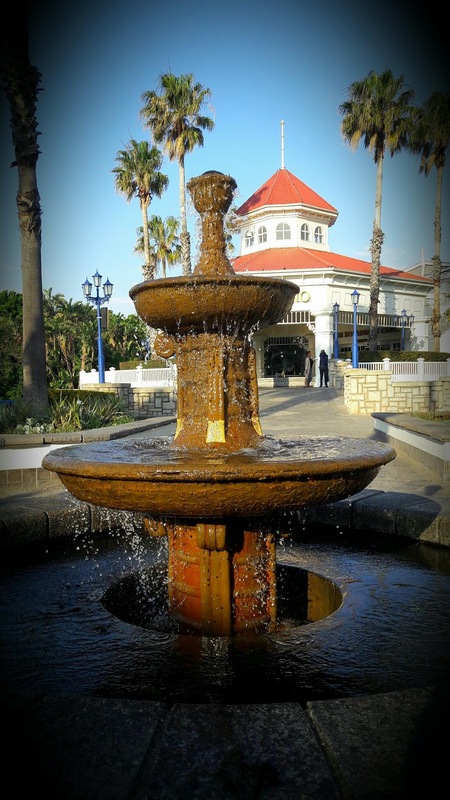 Today is a milestone day for me here on Port Elizabeth Daily Photo. This day marks the 3000th post I've done on this here blog. When I started blogging on Firefly the Travel Guy (then known as The Firefly Photo Files) on 9 July 2008 I did so because I wanted to share with people the places around me. At the time I was a staunch follower of Port Elizabeth Daily Photo while Sue and Max Hoppe (then known online as SAM) was doing it and I really wanted to do what they were doing and achieving with their blog. Then the day came where I received an email from Sue asking me if I would be interested in adopting their baby. They were closing in on 500 posts and felt that it was time to hand it over to somebody else. I said yes without a second thought and did my first post (post #501) on 15 March 2009. I know I've missed a couple of posts due to work / no internet / laptop problems, but I have persisted with Port Elizabeth Daily Photo for over 8 years making today my 3000th posts (and a PEDP post total of 3500 posts). Add to that the 1790 posts I've done on Firefly the Travel Guy and it means I'm closing in on 5000 blog posts. I have to be very honest with you today though. Doing Port Elizabeth Daily Photo isn't easy. Between work and family responsibilities there often isn't much time to blog or even just to go and take photos. Building an audience is hard work and then to keep them interested even harder. This job is made even tougher these days by the amount of people who just post their photos on Port Elizabeth Facebook groups where the audience already exists and that means that audience don't really need to visit PE Daily Photo for a photo fix. What does count in the blog's favour is the fact that a photo post on social media is fairly fleeting while the photos as well as the info I post along with it on the blog get's referenced by Google. That definitely is the reason I haven't just moved PE Daily Photo from a blog to a Facebook page. Something that also counts against PEDP though is that I don't have the money to buy a drone while those who do have drones and are able to show very different angles and videos from what I can get a lot of shares and comments on social media. I, on the best of days, still struggle to be recognised as a blogger here in Port Elizabeth. Go figure. This all means that there is honestly not a day that goes by where I don't think about giving blogging on PE Daily Photo up. Is it worth my while? Is it worth all the effort? But then I attend an event and somebody realises that I am Firefly and they get all excited about the fact that they follow one or both of my blogs. Or I receive an email or comment on social media from somebody who has discovered something new, was reminded of a childhood memory because of something I photographed or wrote or just enjoy my posts. I may not make money from blogging, but those are the things that make it worth it for me. Is Port Elizabeth Daily Photo going to continue? Definitely. Am I going to continue thinking about calling it quits? Definitely as well, but that day hasn't arrived yet. I do think that at some stage in the near future I may stop posting every day and cut back to four or five posts a week to make it more manageable, but PE Daily Photo will continue on. Thank you all for enjoying PE Daily Photo, for coming back every day to see what I'm posting and for all the support. I am doing it for you and as long as you are enjoying it, I will continue. Jonker: Congratulations on a job well done and please keep posting. It is so good to receive your daily email. Port Elizabeth is my native city where I spent the first twenty-one years of my life before moving to Cape Town in 1968. I have been in Texas for almost twenty-four years now, and I still look on PE as the best of all places. Thank you for keeping me in touch with die Baai.